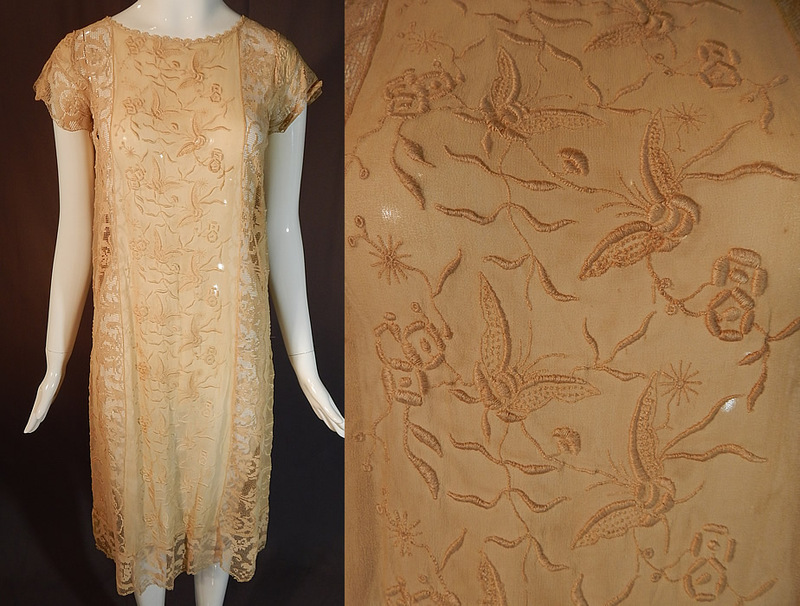 This vintage butterfly French knot embroidered ecru silk filet lace chemise shift dress dates from the 1920s. 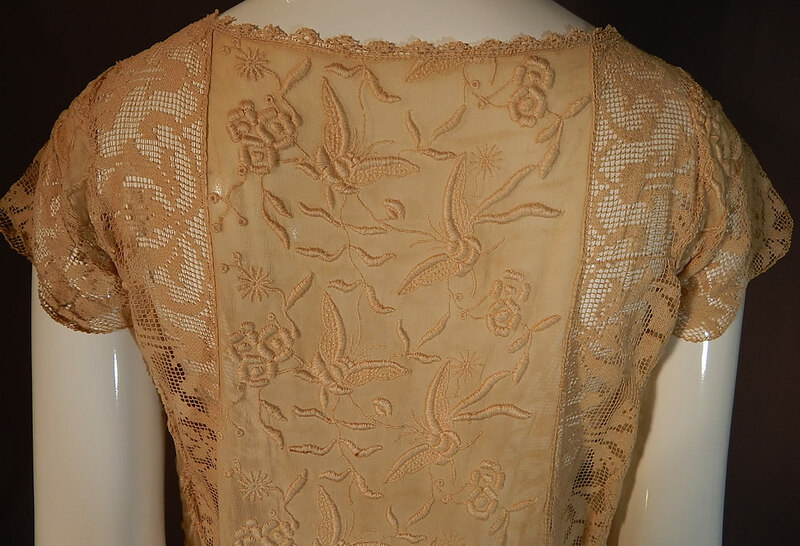 It is made of an ecru cream color sheer silk fabric, with raised padded satin stitch and French knot embroidery work done in butterfly, vine leaf designs and filet lace trim inserts with floral pattern. 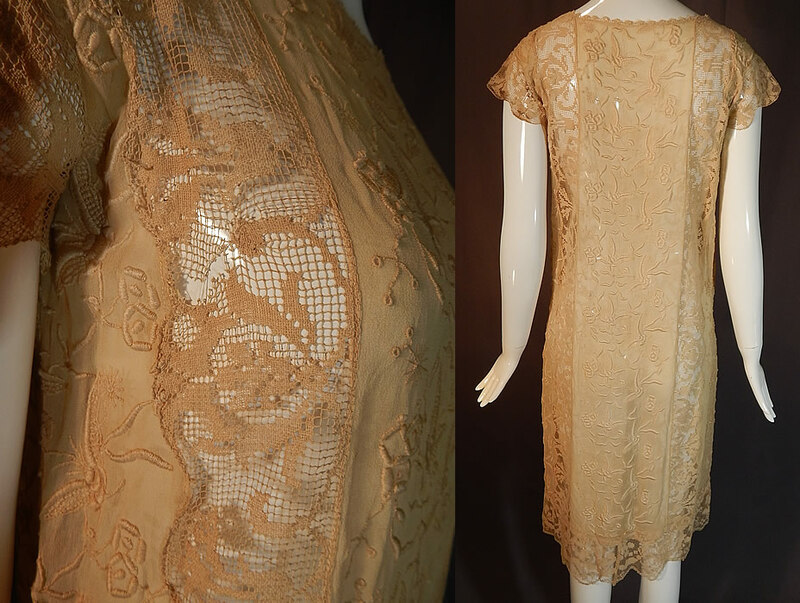 This lovely lace loose fitting chemise style straight shift dress has short cap lace sleeves and is sheer, unlined. 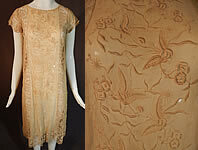 The dress measures 40 inches long, with a 36 inch bust, 36 inch waist, 36 inch hips and 13 inch back. 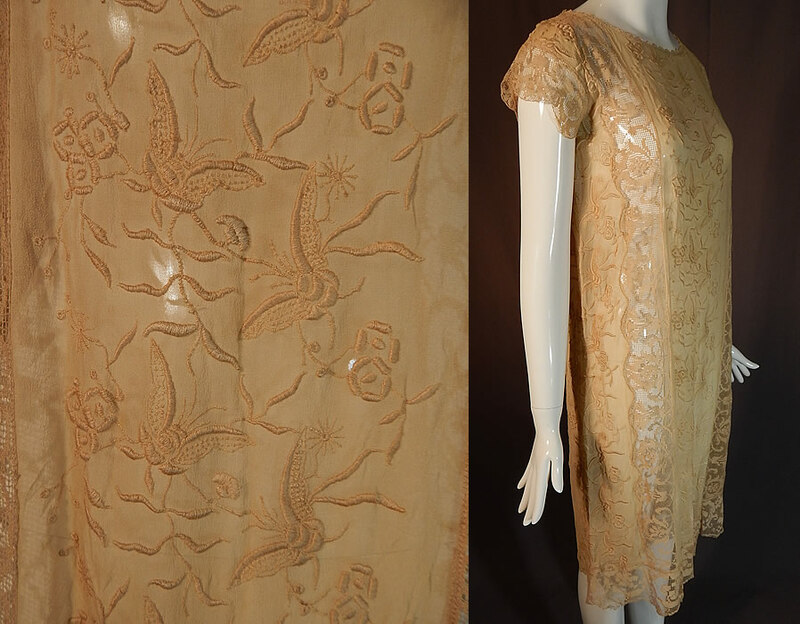 It is in good condition, with only a tiny faint stain and frayed hole on the bottom skirt and a small frayed hole in the filet lace under one arm (see close-up). 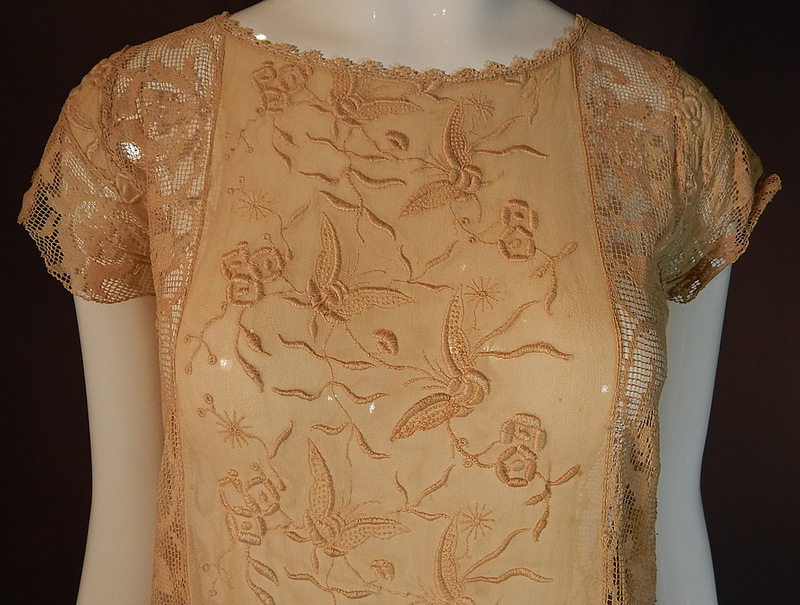 This is truly an exquisite piece of wearable embroidered lace art!